NorWin Campground and Fruit Farm, Inc. This year's season begins April 26th and runs through September 29th. 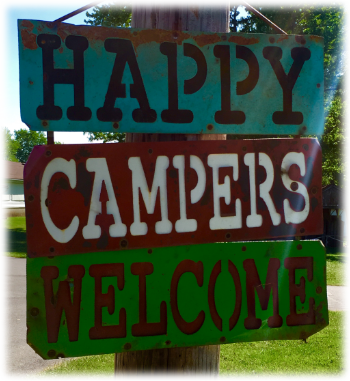 As we prepare for the campground's 53rd season, as well as our 4th season of being your hosts, Derrick and I would like to thank you for being a part of our camp community, making up our friendly backyard neighbors during the camping season! Whether you've chosen to spend your season, a month, a week, or just a night here at NorWins, our family appreciates you. It is our mission to provide you with a safe, beautifully maintained, and family-oriented park. Let's make 2019 the best season yet! Get a printable copy of our newsletter, updated for the 2019 season!